Diamond and Carbide CNC router tooling manufacturer and distributor of standard and bespoke cutting tools for woodworking, metalworking and composites. Prima Tooling was formed in 1979, and has therefore been built on nearly 40 years of experience in manufacturing both Diamond and Carbide CNC router tooling. By utilising the experience gained in woodworking tool manufacture, we continue to gain success in the manufacturing and servicing of tooling. To keep up with current tooling needs, we invest heavily in the latest technology and have a team of experienced staff. We offer tooling design and manufacture in many materials for example PCD, TCT and HSS for CNC and Manual machines, and our experience allows us advise the customer, on the right tool for the application. 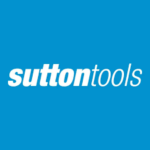 In addition to the tools that we manufacture, we also offer a range of Metalworking and Composite tooling from leading suppliers Sutton Tools. If you have a problem, most importantly we'll help you to solve it, and find a solution.